Produced for Radiorama Production S.r.l. Taken from the LP "The Legend"
Well, this was unexpected. This isn't just Radiorama doing a cover medley of Beatles songs, it's Radiorama doing an exact cover (if somewhat truncated) of Café Créme's "Discomania" (aka "Unlimited Citations") 1977 cover medley of Beatles songs. 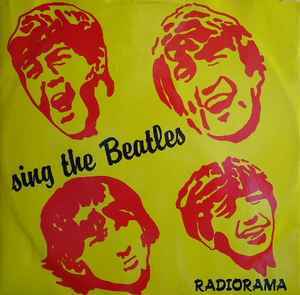 While Radiorama only dared tackle eight snippets of Beatles tunes (as opposed to Discomania's epic thirty songs in ten minutes), the sequence of the songs being covered is exactly the same, up to and including the goofy "Twisting in the Sixties" linking segment that Cafe Creme introduced. So, if you enjoyed Radiorama's rendition but would prefer a more epic take or dance instrumentation that dates to the late 70s, well, there you go.